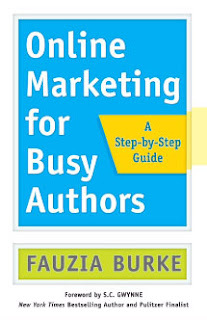 Fauzia Burke is the author of the new book Online Marketing for Busy Authors: A Step-by-Step Guide. 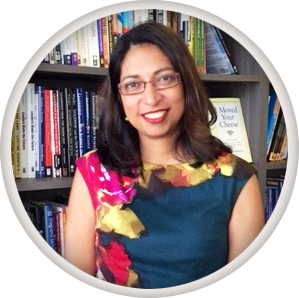 She is the founder and president of FSB Associates, an online publicity and marketing firm focusing on books and authors. She previously worked in the marketing departments of Henry Holt and John Wiley & Sons. Her writing has appeared in publications including The Huffington Post, and she is based in Carlsbad, California. Q: Why did you decide to write this book, and do your suggestions apply to beginning authors as well as those who are more established? A: I decided to write Online Marketing For Busy Authors because I found that I was answering the same questions over and over again, so I wanted to put all my advice in one place and make it available for more people, so I could help more authors. While my book is an introductory book for strategic online marketing, the tools, worksheets and tips are applicable to both beginning and more well established authors. Sometimes we all can benefit from a reminder of the fundamentals—no matter how much experience we may have. I wrote my book for the authors who get overwhelmed with the thought of having a website and doing social media. I wanted to help them navigate this landscape. Effective branding and marketing is about authors creating meaningful conversations with their readers. Having visibility online is not just about selling a book; it’s about building a career. An author’s online brand will serve them in all that they do and will open the door to new opportunities. Q: How has book marketing changed over the years, and how much of it is online these days? Forming a long-term strategy for building and growing your brand online is key to the success of an author today. While marketing offline still has its value, an author will likely spend more of their time building their brand and community online. Another thing that has shifted with our digital world is that there are more demands on our time and no one has any time to waste, so books that provide content of high value are more important than ever. Q: What would you advise an author who's nervous about plunging into the world of online marketing? A: Well, it’s understandable that some authors struggle with the thought of branding themselves because they would rather write their book than spend time marketing. For some there’s a negative connotation with the word “marketing” that sounds fake. So I reassure authors who say, “I don’t want to be a brand” by telling them a personal brand is just an author sharing his or her expertise. Once authors think about branding as making authentic connections with their readers online, they are more open to the concept of personal branding. A brand is really what an author wants to be known for. Q: How much of the marketing of a book does the author usually do (as opposed to the publisher or a publicist)? A: Excellent question. Book marketing is most effective when a publicist works in sync with an author, so it really is a team effort….The development of an online brand is essential for a book’s success. While I encourage authors to work with a publicist or someone experienced in online marketing, an author is front and center in their overall marketing strategy. I encourage authors to create a conversation with their readers as soon as they have an idea for a book. An author’s reason for writing a book drive their objectives online, and serves as a motivating reminder to build their brand and community for the long haul. Q: What are some key things you’ve learned about the book writing, publishing and marketing processes over the years? A: Oh, that’s a good question. So many things! Here are some of the things that stand out to me most. Like I mentioned before, there’s never been a better time to be an author, so that’s good news. It’s those secondary goals authors have that lead to opportunities and build a loyal following. When authors tell me they wrote a book to solve a problem, help people, and provide solutions, that’s when I know an author will see results from their online branding and marketing efforts. Authors who lead with their secondary goals, start conversations, spark interests and it often leads to interviews and other opportunities. Authenticity connects and resonates…. Remember all of us, experts and novice, are learning as we go. You don’t have to become a social media strategist to be effective. By using the most important online marketing outlets in a targeted way, your book, brand and bottom line can benefit. A: I actually have two book ideas mapped out. One is more memoir-oriented and is about embracing a life full of risks. The second book idea is a follow-up to Online Marketing For Busy Authors to help authors take their marketing to the next level. A: There’s a lot of people who throw ideas and jargon at authors and it can feel quite stressful and overwhelming for them. Most authors I know don’t want to be marketing experts, they just want the information that will help them reach their readers and sell books. So I wrote my book Online Marketing For Busy Authors to reduce the anxiety for authors, and provide them with information that will help them build their platforms and enjoy the process. I want every author to know that they can market their books in a smart and strategic way regardless of their budget. Fauzia Burke can be reached on Facebook and Twitter.